This post has been restored to its former glory. The Mystery of Ph. 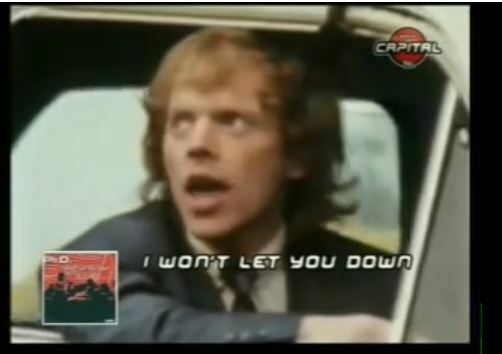 D, Mtv, and the video for I Won’t Let You Down. Eric sent me this message. Which one? The icy blond walking the dog, or the catatonic blonde with the Ditch braids? I don’t know Eric, but I felt for his plight. There is just not enough information about PhD videos out there. My first instinct was to suggest that Eric ask Jim Diamond himself, but then I remembered. Jim Diamond died recently. I looked it up, to be sure, and yes. He died. ONE YEAR AGO TODAY! One of two things is happening, one…he is trending on some social media site somewhere….or two, my junior high crush is haunting me through my blog. Believe what you want, Lerlines. Back when I was 11, I had a bit of a crush on Jim Diamond, lead singer of the Mtv rising stars, Ph. D. What? So he’s a little weird looking? I like weird looking. Totes hot, am I right? Please say yes. The problem with having a crush on Jim Diamond of PH. D. was that by the time I was 11 and a half, Mtv stopped playing their video, and never played them again. What’s that you say? Teen Beat?! Ha! Teen Beat would never publish a picture of Jim Diamond. They were too busy finding new un-airbrushed* photos of Ralph Macchio. No. For a 12 year old girl in America in 1982, Ph. D. were as unattainable as wine coolers and earth-tones. Goodbye, Ms. Sherwood. Don’t take any of Leroy’s crap when you see him*. *Gene Anthony Ray died in 2003 (three letters took him to his final resting place)…which just adds to the sadness of this post. Hell yeah, Lerlines. Goldblum is back and more Goldblumy than ever. This is worth a watch, but Goldblum purists will want to skip to the end, where Goldblum plays a cop on the edge willing to do anything, even steal a watch from a watch, to get his watch. Watch it. Maybe I should set up a Goldblum subscription service? Is it me, or did it just get Goldblumey in here? This is not a drill. The best thing on the Internet right now is a light bulb commercial, and it is pure Goldblum magic. See for yourself. Warning: It gets a little hot in the hot tub. James Garner will be long remembered as Maverick, Rockford, or for a few of us romantic comedy suckers, the Murphy in Murphy’s Romance, but to me he will always be King Marchand. He will always be the lovable gangster who fell in love with a woman who was pretending to be a man who was pretending to be a woman. 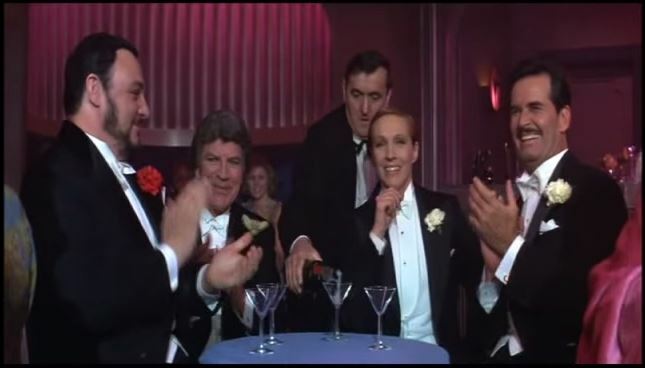 In some weird cosmic way, I’d like to think that he’s laughing at Robert Preston’s drag routine in the great cabaret in the sky. Thirteen years ago to this day, a college friend of mine took me to a party next door to the most pretentious grocery store in San Francisco, where I met fellow SlumberPartyMovians Melinda and Karen. It was a Bastille Day party. Melinda was bent over her oven, pulling out a tray of French fries. I mentioned that they were Fronch! Fries! And she said she also had Fronch! Toast! And Peru! And an epic friendship was born. It wasn’t until about two weeks later, when Karen said “The Chauffeur” was the sexiest Duran Duran song ever, that my official self-adoption into their family was complete, but suffice to say: June 2001 was a very good month.